Ayotte delivers heartstopping action, romance, and intrigue in this brilliant sequel to the award-winning thriller Flower of Heaven. Francoise DuPont, now Queen Farah of an oil-rich Middle Eastern country, continues the search for her sons, given up for adoption at birth. Thirty-five years later, their lives now are at risk from ruthless enemies of her husband, the King. 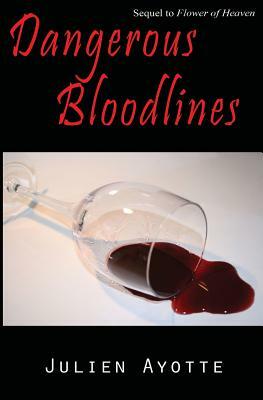 A page-turning journey from Paris to Stockholm, to the vineyards of Orvieto, Italy, and to the remote hospital in war-torn Ethiopia, Dangerous Bloodlines will keep you guessing. Julien Ayotte co-authored his first book, Wealth Building for Professionals, in 2001, drawing from his years of experience as a corporate executive and business teacher at the high school and college graduate levels. In addition, he spent nearly fourteen years in legal administration at two law firms. The author holds a bachelor of science degree, masters in business administration, and PhD, all in business and finance. Flower of Heaven was his first novel and Dangerous Bloodlines is the sequel. Ayotte lives in Rhode island with his wife, Pauline. They have three grown children.